Last time, I gave a brief history of my personal fascination with sleep and a few of you echoed my sentiments of needing more sleep than the average person. The Zeo itself consists of two main pieces: an alarm clock of sorts that actively displays your sleep cycles and a headband that wirelessly monitors these cycles as you sleep. On the first night I tried the Zeo, my excitement got the best of me. I remember laying in bed staring at the monitor which blinked in a way which indicated that I was “awake.” I closed my eyes tightly and tried to will myself to sleep, partially wishing I could stay awake to watch the monitor throughout the night. It was late and I was tired…but I couldn’t fall asleep. “Performance anxiety! ?” I wondered to myself, tossing, turning, and flipping my pillow with frustration. Still no sleep. I started to worry about how, exactly, the device worked and mentally chastised myself for not researching more before I nonchalantly strapped something so close to my brain. Finally, at 4AM (at least I am tenacious), I took off the Zeo. Completely satisfied with this response, I wore the Zeo that night without anxiety. Below is data from one night’s sleep. Oh no, I feel so exposed! 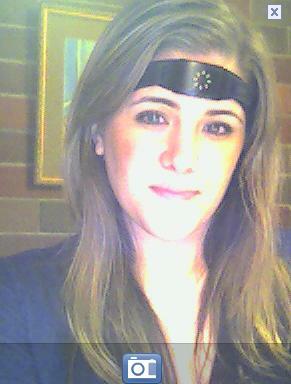 Don’t judge my brain waves! In the interest of time, space, and attention span, I will wait until the next and final post in this series to interpret the data, show you more, note my observations, and answer some questions that came up in last week’s comments (with the help of the friendly staff at Zeo.) Check back for it on March 21st! In the meantime, get some sleep. How many hours of sleep did you get at MIT? My name is Christina, and I am a sleepoholic. I will never be able to check “pull an all-nighter” off the list of 101 Things to Do Before You Graduate from MIT and I will always be snickered at by bleary-eyed friends when I complain of “getting only 7 hours.” The truth is, despite being an MIT student, I get an average of 8+ hours of sleep every single night. I’ve never felt this was my own choice, but rather my brain’s choice, as getting less than 7 hours of sleep results in nodding off in all of my classes and on top of my books. In fact, I have skipped many morning classes in the past after not sleeping enough, knowing that sitting in class would be useless, as I would most certainly fall asleep. After a lecture on sleep and hypnotics in a Psychopharmacology course I took last year (at that school down the street, aka Harvard), I sheepishly approached the lecturer and asked bluntly if there might be something wrong with a person who needs 8-9 hours of sleep. He chuckled and said it was perfectly normal. But I still wondered. Was I waking up in the middle of the night and sleepwalking to Newbury Street? Were my sleep cycles abnormal? Did I ever actually enter restorative deep sleep? And if any of these were true, could I be doing something to definitively improve my sleep? I decided these were questions I would probably never get answers to, lest I wanted to spend time in a sleep lab, which I didn’t. 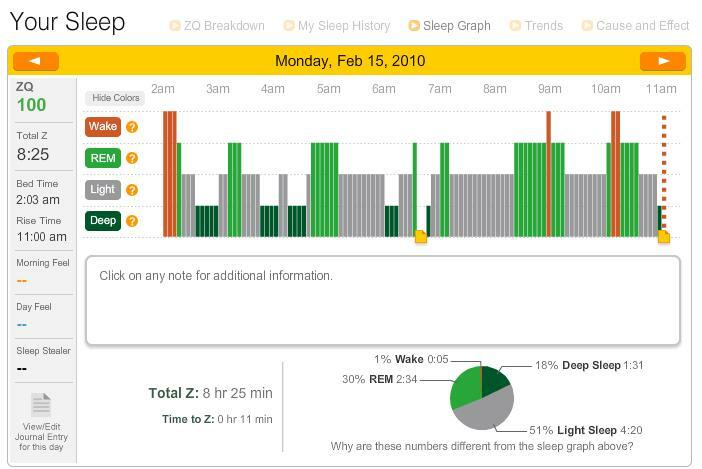 Until a few weeks ago, when I received an email from my friend Mollie ’06 (Course 7 & 9) who told me about the Zeo, a device that records your sleep cycles as you slumber. I was amazed at the premise and decided to write a post about this device created with the help of a few MIT alums, but decided I had to see it to believe it. So I wrote to the company and asked to try the product. I didn’t actually expect a reply, but sure enough, one week later a package was waiting for me at Baker Desk. In my next post, I will tell you all about my fascinating sci-fi-like-experience with the Zeo. Stay tuned…and good night! Hypothetically speaking, let’s say it’s peak flu season, you’re a little run down from the usual holiday stressors, and now you have to journey six hours south to your in-laws house for a weekend of winter festivities. Worried about getting sick? The folks at MIT Medical think you might be, so they put together a four minute video that’s rich with retro footage and dead-panned lines to teach the MIT community how to stay healthy while traveling, especially on airplanes. Dr. Howard Heller, chief of medicine at MIT Medical, addresses things like airplane air (will it make you sick? ), the dirtiest place in the plane (is it the bathroom? 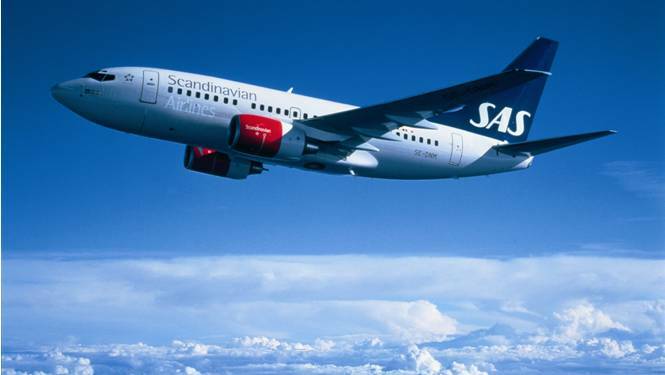 ), and how to eat snacks from a flight attendant with a coughing problem. 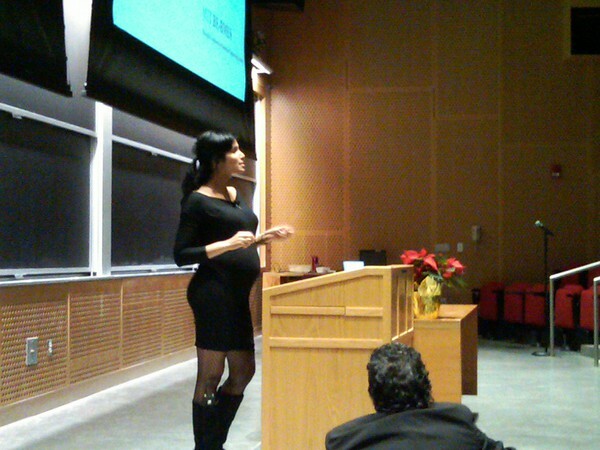 When I first heard about Padma Lakshmi coming to MIT , the details (i.e., what for?) were inconsequential in my decision to attend her speech. As the host of one of my favorite TV shows, Top Chef, she was the second most famous person to visit MIT this semester (second to…well…Barack Obama, if you’ve heard of him) and I figured it’d be memorable and fun. Little did I know she was coming to MIT to help launch a new research center for women’s diseases; MIT is the first engineering school to take on such an endeavor! Quite the historical step! Padma came to MIT to discuss her battle with Endometriosis, a common but not well known disease that affects 10 million women in the United States and over 90 million worldwide. It is highly treatable when detected early…unfortunately, it usually is not. The disease causes a great deal of pain and in its later stages, infertility. But Padma spoke to us (very eloquently and poignantly, I might add) on Friday while six months pregnant, and explained the path of misdiagnoses that finally lead to the correct diagnosis, treatment, and eventual triumph over the disease. Learn about New Media Medicine via LabCASTs. LabCASTs are video doorways to the MIT Media Lab’s unorthodox research into technologies aiming to transform basic notions of human capabilities. You can catch new waves of research through this series of short videos or podcasts — visit the LabCAST site or subscribe to the RSS feed. And you are invited comment. The New Media Medicine research group is working on technologies that will enable radical new collaborations between doctors, patients and communities, in essence, a power shift in health care. The Chameleon Guitar, developed at the Media Lab, combines traditional acoustic values and digital capabilities. Hear it! In Catalytic Cracking, Associate Media Lab Director Andy Lippman points to common flaws plaguing all U.S. institutions as a first step toward meaningful redesign. The Future of News offers ideas on creative ways to provide people with the news and information they need to manage their communities effectively.